Aalto University Executive Education (Aalto EE) appointed Dr. Riina Viitala as Associate Director starting August 1, 2016. She has served as Senior Advisor since March and will continue her work on the development and design of high profile customized solutions as well as on strategic partnerships, developing partnership programs. Dr. Riina Viitala has extensive work experience, having served for 15 years in a range of leadership positions and key expert roles in Valio Ltd where she developed a strong expertise in the areas of innovation and change management. She also has a strong background in both consumer research and product and concept development. Viitala designed and implemented numerous development programs related to the company’s core processes and to leadership and innovation skills. She completed her doctorate at the University of Helsinki, Institute of Biomedicine with a thesis on probiotics. 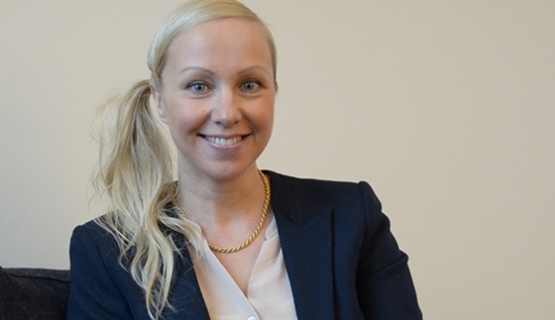 “I am delighted to welcome Riina to join our team at Aalto EE. Her track record in consumer business and innovation management are invaluable to us. Riina’s contribution will be pivotal in strengthening our global growth path”, comments Group Managing Director, Dr. Pekka Mattila. Aalto University Executive Education’s strengths lie in its global operating model and diverse offering. In addition to Finland and Singapore, Aalto University Executive Education offers education programs in the Baltic countries, China, Indonesia, Iran, Poland, Russia, South Korea, Sweden and Taiwan. Aalto University Executive Education holds three respected accreditations: AACSB, AMBA, and EQUIS certificates. This places it in the top 0.5 per cent of the world’s institutions.